"The impact triggered stars and ringing but strangely no pain. For a few seconds, Joel felt nearly euphoric. He lifted his head and smiled. Then flashes of blue yielded to waves of black as the ground came up to meet him." Joel looked at the newspaper and groaned. He had procrastinated long enough. He walked slowly to the unoccupied stool, braced himself for the inevitable, and picked up the front page. The headlines and old-fashioned layout fanned his fears before the date at the top confirmed them: Thursday May 29, 1941. Grace's kiss had been the stuff of dreams, her plea for him to hold her music to his ears. Yet when Joel thought again about what had transpired and the effect he had already had on several people, he did not hear a symphony. He did not hear bells or whistles or even fireworks. Instead, he heard something ominous, something he had vowed to avoid and could little afford to recklessly invite; the distant but unmistakable sound of thunder. A Bit of Sci Fi, a bit of time travel, and a bit of romance all add up to one amazing book adventure. I am still experiencing that book hangover you get when you finish one of those books that just meets every single need you have in a book. I finished The Mine by John A. Heldt a few days ago and I am still in awe of the writing, the detail, the characters and the flawless ending. This book raised the bar for me. I have always loved time travel books but have always felt they lacked something. Since we know time travel is impossible, it makes it hard for the writer to convince us of this alternate world. However, "The Mine" was my convincer. Joel Smith is a cocky young man who, along with his best friend, decides to travel to Montana days before his graduation from college. 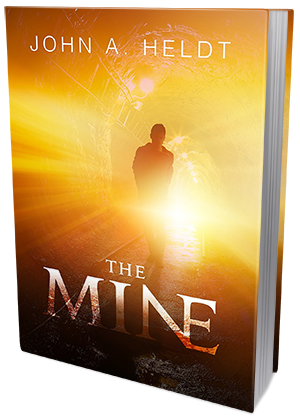 When they come across an abandoned mine, Joel's curiosity gets the better of him and he decides to do a bit of exploring. After a freak occurrence, Joel finds himself in 1941. With no way of getting back home any time soon, and with the help of his grandmother and her friends, he begins to make a new life for himself. When an opportunity to return to 2000 occurs, will he go? Or will he stay with the woman he has come to love? us what Joel goes through and what others around him go through as they learn to know him and love him. "The Mine" took me on time travel journey so magnificent that I will not soon forget. I would recommend this book to any fantasy, romance fans. A definite stand out in story, and romance. John A. Heldt is a reference librarian and the author of the critically acclaimed Northwest Passage time-travel series. The former award-winning sportswriter and newspaper editor has loved getting subjects and verbs to agree since writing book reports on baseball heroes in grade school. 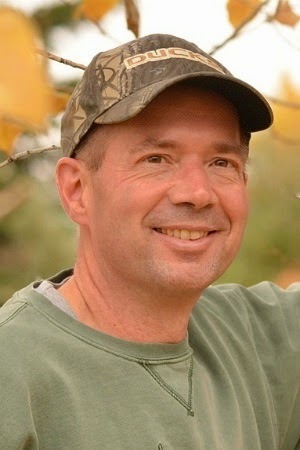 A graduate of the University of Oregon and the University of Iowa, he is an avid fisherman, sports fan, home brewer, and reader of thrillers and historical fiction. When not sending contemporary characters to the not-so-distant past, he weighs in on literature and life at johnheldt.blogspot.com.